VICTORIA DAY ON CROSSCURRENTS, 5/18 – Doggedly Yours… Howling, Humor, and History. 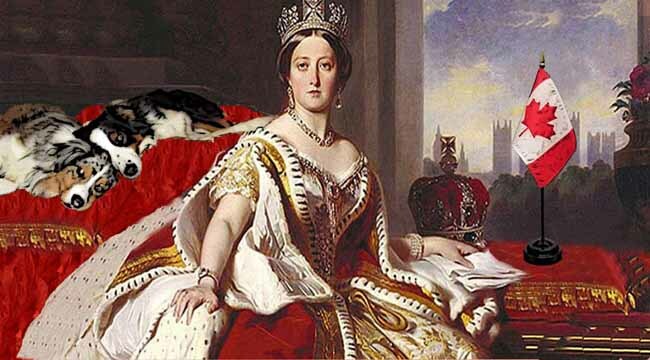 VICTORIA DAY ON CROSSCURRENTS, 5/18: Honoring the birthday of Queen Victoria, who as monarch supported Canadian confederation in 1867, the statutory holiday also marks the unofficially start of the summer season in Canada. Gavin and Wyatt take a nap as Queen Victoria appears with the new Canada flag. The Victoria Day in Canada celebration will be marked with some of the best indie rock bands from Canada on Crosscurrents, 5/18 at 8 a.m.